Currently I’m planning a trip to the Republic of Serbia. I wondered if I could take one of the DJI Mavic Pro drones there and shoot some aerial photos and videos. The scenery in Serbia is amazing. And if you haven’t been so far, I sincerely urge you to go. In any case, I contacted the local Civil Aviation Directorate to get some more information. Mostly to see if I could fly there and to find out what the regulations were. Most importantly, I wanted to make sure I could bring my drone in, without it getting confiscated at the border. A while back, there was a user on a DJI forum saying that his drone was taken on entry to the country. I am a regular traveler to Serbia and I often carry with me a substantial amount of photo and video recording gear. In my many years of travel to Belgrade, I have never had any trouble. Still, drone flights and recording footage from air is a hugely different ball game. It does pose security, privacy and safety risks. So, in my mind, the chance of my drone getting grounded at the border crossing was quite high. So, to avoid any painful separation from my Mavic, I wanted to get my facts straight. Also, I wanted to make sure that, if I do get to “drone” there, it would be within the confines of local laws and regulations. To my pleasant surprise, the response from their team was quick. It was also very detailed. Most of all, I appreciated not just the information, but the actual advice on the easiest and most painless way, in terms of paperwork, of flying an UAS/RPAS in Serbia. I also found out that as a registered operator abroad, I would not need to go though the process of registering the drone in Serbia itself. They accepted my registration from the General Civil Aviation Authority in the UAE. And they also accepted my local certification. Amazing! I was also informed that my DJI Mavic Pro would be allowed into the country. The current requirement is that the drone’s endurance should be less than 30 minutes. The customs control have a comprehensive list of drones that are accepted into the country. 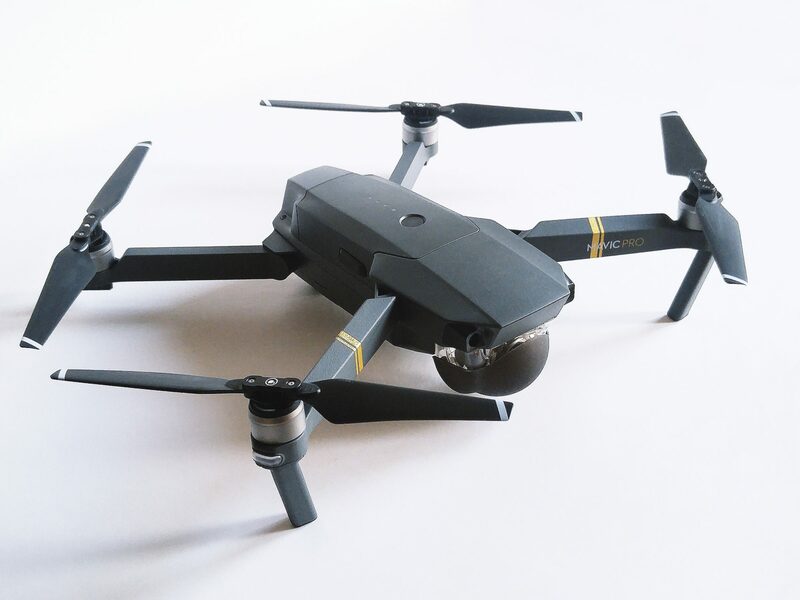 I was happy to see that most of DJI drones made the list – although the list wasn’t quite up to date. Still, I was advised to bring the original manuals and specification sheets with me. This was in case I needed to provide a proof of Mavic’s maximum flight duration. In any case, the manual was already on my packing list. The UAS regulations in Serbia do require you to have it on you during your RPAS flight. For the hobbyists out there, there is a catch however! And, it is not a pleasant one. Well, it is an annoying one. Although in Serbia you can easily fly your drone, provided you are within certain restrictions (height, distance to airports, governmental buildings, military installations, i.e. the standard drill), to also record the footage from air, is not allowed. At least not to hobbyists. If you want to record footage from air, you will need to be registered as a commercial operator. You will also need to have a liability insurance cover – at least for the duration of your stay there. And finally, you will need to obtain an approval from the local Ministry of Defence. So, as a hobbyist, there is currently no legal framework that allows you to take photos or record videos from air, to capture the raw beautiful nature that the country offers. However, if you are already registered as a commercial operator elsewhere abroad, it should be relatively easy for your to get the right approvals in place. As I mentioned, the folk at the Civil Aviation Directorate of Serbia are very helpful and on the ball. In any case, I am still to travel there. So, I will have a practical update to share. And hopefully some nice footage, too. Is banning hobbyists from recording drone footage an unusual thing? I must admit, we have similar regulations in the UAE – so I wasn’t too surprised. On one hand, as a commercial operator I do welcome it. Because, there are drone pilots out there, registered as hobbyists at a much lower cost, but they fly commercially. They fly without appropriate licenses and approvals in place; without a certification required for commercial work. And, at least in the UAE, they seem to be getting away with it. And the clients, in their ignorance, don’t seem to care. After all, they’re getting a better deal. Unfair disadvantage for those who want to operate within a legal and a regulated framework. For the record, I do think that this can be regulated differently to ensure compliance. A blanket ban on footage recording for all non-commercial flyers is not the right solution. But I guess it is an interim solution, which will in due course be bettered. At least that’s what I hope for. I want to be able to fly the drone and record my family or friends on various outings, to make my own personal stories, or capture my son’s first steps from air. And I really don’t need an MOD guy breathing down my neck when I do it (although he is a really cool dude). I’m sure many others feel the same.